Please complete the Small Group Leader Application below. As soon as we receive your application someone from our small group team will contact you about next steps. A director or staff leading a ministry in which you have served or a voluntary ministry coordinator or personal reference outside of the church who has first-hand knowledge of your service in any capacity. You may not include family members. If you have any questions, please email us at smallgroups@ocbfchurch.org. All members of Oak Cliff Bible Fellowship are asked to do three things: Give, Serve and Grow. The following questions are designed to address these three areas of spiritual maturity. How long have you been a member of OCBF? In what ministry(s) are you currently serving? What ministry(s) have you served in the past 3 years? 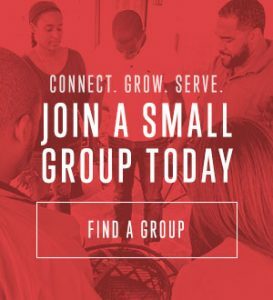 Have you ever participated in a small group? Have you ever been charged with or convicted of a felony? Have you ever been accused of physical or sexual abuse or harassment? If “yes” to one or both questions, please explain. There may be situations in which we require a criminal history check. Will you give OCBF permission to conduct a criminal background check on you if deemed appropriate? I authorize the people listed above as references on this application to furnish information concerning my personal character. All of the information provided in this application is true and complete to the best of my knowledge. I agree to abide by OCBF policies and guidelines, including submitting to the guidance and authority of OCBF Leadership.